To ensure that every piece of equipment meets their high standards and never fails you in the field, Brooks Range dedicates themselves to rigorous research and development. Once they have crafted what they believe to be a superior product, they give it to their team of backcountry professionals to submit it to the harshest testing in the most brutal environments. Once they get the thumbs up there, they truly have crafted gear worthy of putting the Brooks Range name on. They make most of their equipment right here in the USA to ensure that everything lives up to their lofty standards. Things have been this way since the beginning when Matt Brooks founded the company. As an avid mountaineer, Matt has been all over the world and hold records for numerous ascents. If there is one person who knows how to summit a peak, no matter how impossible it may seem, he is your guy. His experience has taught him exactly what kind of gear it takes to succeed in Mother Nature’s most unforgiving corners. It usually takes a combination of tools of all kinds to thrive in the mountains. Some are simple and others are complex. Brooks Range snow science equipment embraces the entire range to deliver prime products that will enable you to enjoy your time battling nature. 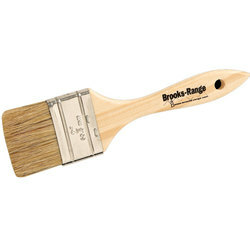 Among some of the ridiculously helpful tools, Brooks Range shovels get the job done with authority. The Brooks Range Sharktooth Longneck Mini-pro Shovel is the first choice of mountaineering professionals across the globe. Even the toughest ice is no match for the serrated edge and the long shaft has been specifically designed for easy backcountry use. In the case of an emergency, this Brooks Range shovel showcases its versatility, as it can be used as an anchor or stretcher bar. Dedicated to crafting the best gear possible for skiing, snowboarding & mountaineering, Brooks Range is an expert on all things that have to do with mountaineering.The efforts they pour into each of their products gives you the greatest shot at safely and successfully taking on the most exciting adventures your imagination can conjure.